A laptop makes a great all-in-one audiophile music server. That is if you prefer the flexibility of computers and don’t mind setting one up in your listening room. Laptops are incredibly quiet, lightweight, power efficient, they usually have 500GB or more storage and come with a nice LCD display to boot. Their sleek appearance actually makes them unobtrusive in any modern living room. On top of that, modern laptops are also equipped with USB 2.0 ports – some even come with an SP/DIF digital optical output. You should also look for a model that comes with a built-in DVD drive. A disc drive is helpful in converting your CDs to FLAC or MP3 files. You probably don’t want to juggle multiple external devices. What laptop specs does a music server need? Your laptop doesn’t need to be terribly powerful – any lower specd AMD or Intel chipset will do the trick. Save your gaming laptop for other projects :) Quite the contrary, higher performance produces more heat, noise and results in a shorter lifespan. I have even tried cheap netbooks with fantastic results. Should you get a Mac or a Windows Laptop? Although you might be tempted to use your laptop’s analog outputs, I would personally always go with an “external sound card” and bypass the internal audio circuitry of your laptop altogether. Simply connect the digital SP/DIF output of your laptop’s output (if you happen to have one) to a an external digital to analog converter (DAC). 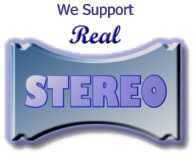 Any audio file can now be played back in high quality through your stereo system. You could use a 5.1 receiver with digital inputs as well. As an audiophile though, I would strongly recommend establishing a USB connection beween your laptop and an external DAC or receiver. Not only will you gain get better sound as a result by avoiding the common jitter problem of optical signal transmission but you also gain full galvanic isolation. This means no noisy grounds can contaminate your music. If you are planning to use your laptop as a dedicated music server – which I highly recommend, you have the choice of keeping your music right on the laptop, connecting an external USB hard drive containing your media library or just pulling everything from a NAS (Network Attached Storage). I personally don’t like having too many external devices and cables. I’d start with just the laptop but get a decently sized internal hard drive and let things develop from there. It may eventually turn out that you are never going to need more space. Also consider a good backup strategy. Computer hard disks eventually fail and a solid backup helps you get back up and running quickly. It could be as simple as hooking up an external USB hard drive once a week (I personally do this every Sunday) and letting backup software do the job. If you are on Windows, use Windows Backup which is free and comes pre-installed with your operating system starting from Windows 7. As a Mac user, I rely on Time Machine for my production laptop but also use Carbon Copy Cloner (CCC) to schedule my backups. For playback and library management software you have the choice between Windows Media Player, Foobar or Media Monkey on Windows platforms. Some are paid while others are free. Foobar is highly regarded among audiophiles. It offers endless ways of customizations and is loaded with tons of optional plugins. Best of all is that it doesn’t cost you a penny. You can download it from here. Sure, there’s a lot more out there so I just mentioned the major software applications that come to mind. On Mac computers I recommend using iTunes which comes pre-installed by default with your Mac. If you don’t like iTunes, try some of the audiophile music players such as Audirvana for even higher quality. Practically every application now supports being remote-controlled from a smartphone or tablet which comes in handy if you don’t want to sit in front of your computer skipping tracks. Can you give me your opinion? I want to buy an android or windows box to connect to a dac. I am not shure how to get the best one for audio. Can you give me some inputs? I looking for a laptop COMPUTER to do DJ in social party. Can you recommend a good one for me. THANKS. Next post: How Much Storage Does Your Music Server Need?